A picture emerged yesterday of Jeff Bezos looking unusually buff. 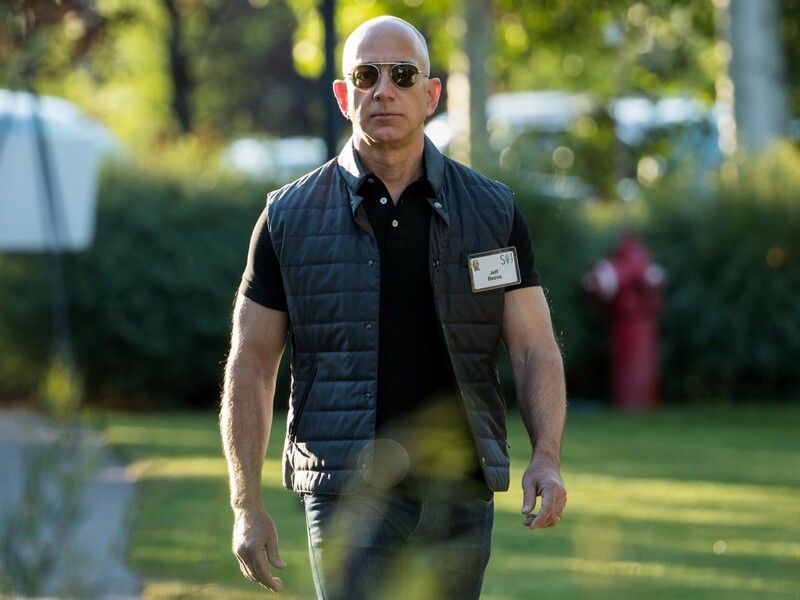 Bezos’s biceps were bulging under his black t shirt, and with his dark sunglasses, he looked more like a hitman than one of the world’s most successful entrepreneurs. The internet was quick to take notice. Bezos hadn’t exactly looked like a sinister bodybuilder when he’s started his company in 1995. People felt Bezos’ new look was adding to his personal brand. Others compared him to the lead character in Hitman. …or to J.K Simmons from Whiplash. Soon he was being photoshopped along with other legendary bald American badasses. People thought his picture would be best complemented by some WWE music in the background. ..or with some classic movie imagery. And ultimately, people couldn’t stop marvelling at the transformation.